In 2005 a Dutch journalist explored the issue of child labour in the cocoa industry, wishing to see the results of the Harkin Engel protocol which was signed in 2001. He was shocked to find that child labour was still endemic in the cocoa industry. An estimated 1.8 million children are exposed to the worst forms of child labour* on cocoa farms in countries such as Ghana and Ivory Coast, the two main producers of cocoa in the world. To make a point, the journalist tried to get himself convicted based on the fact that he had purchased chocolate whereby it was conceivable that the cocoa had been produced using child labour or, even worse, child slavery. It is illegal in many countries to buy products that have been produced using illegal practices. The most common example is when someone buys stolen goods where the buyer could have reasonably assumed that the goods were stolen. Since child labour and child slavery are also illegal, the journalist presumed that he had committed a crime in buying chocolate produced with child labour, just as when buying stolen goods. To make a statement, and to prove that child slavery is real, he pressed charges against himself as a chocolate criminal. He knowingly ate chocolate, presumably produced with illegal practices. The court however declared the charges inadmissible. Not satisfied with this result, he headed to the Ivory Coast, searching for witnesses to testify against him. He found 4 former child slaves who agreed to testify against him in a Dutch court. In the second and final ruling, the court acknowledged the “serious abuses that victimize young people in the cocoa industry”, but the court could not convict him because there was no direct link between the chocolate bars he had purchased and ate, and the cocoa beans sourced using child labour in West-Africa. The only reason why the journalist was not convicted was because of the absence of traceability. There was no direct link between the raw materials, the cocoa beans, and the final product, the chocolate bar. Back in 2003, traceability was something fairly new to many commodities. Actually, the very reason ChainPoint was founded was due to the dioxin crisis in 1999 where very large amounts of fresh products, including chicken, eggs and dairy products, were recalled because nobody knew precisely where contaminated feed had been used. Traceability did not exist. Today, however, traceability is a key topic in many sustainable supply chains. Given the technological possibilities available today, it is possible to link specific batches of cocoa beans to the final products produced. Every step in the chain can be recorded using information technology. And this poses a very interesting question. If today a direct link can be made between the cocoa beans produced using child slavery and the products sold and bought by consumers, then the very reason why the journalist could not be convicted in 2005 is not valid anymore. Theoretically speaking, anyone who buys chocolate whilst being aware of child slavery in the cocoa industry could now be convicted! 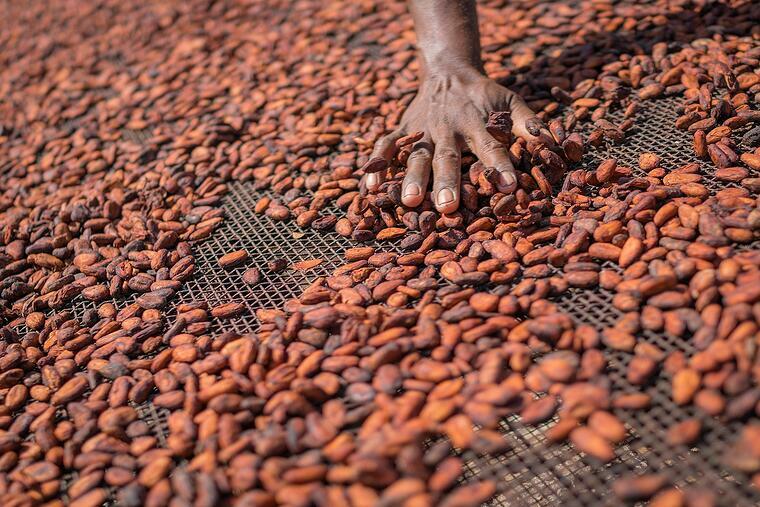 Using the Chain of Custody model Identity Preserved, a direct link between specific batches of cocoa and the final product can be established, but this will be technically very challenging to separate the streams and batches across the entire supply chain. ChainPoint is a secure, online software platform to manage and share product, process and supplier information, from raw material to finished product. Regardless of commodity or supply chain, the platform can be configured to fit specific requirements. ChainPoint is active in many commodities such as cotton, soy, feed, fruit & vegetables, food and also cocoa. Please contact us to learn more on how ChainPoint's technology can help create sustainable and efficient supply chains.